Tourism Minister, Dr. Wykeham McNeill announced recently that Transaero, Russia’s second largest carrier, will begin non-stop service from Moscow to Montego Bay starting January, 2013 and run for three months. Discussions continue to extend the flights into the summer. Service has also been confirmed from the Czech Republic, Stockholm, and Paris. Jamaica beat out more than 70 other destinations to take the ‘Favourite Worldwide Destination’ in the British Travel Awards’ (BTA) new online Check In magazine’s Readers’ Choice Awards. The British Travel Awards, the largest travel awards program in the UK was created to recognize the most successful travel companies and destinations. In order to attract more visitors to the island’s south coast, the chairman of the South Coast Resort Board has announced plans to revitalize several properties on the parishes of Manchester, Clarendon and St. Elizabeth. The locations identified are Lover’s Leap, Black River, Alligator Pond, Milk River Bath, Mandeville, and Scott’s Cove. The budget for the revitalization is set at $200 million. The 12th staging of the annual Reggae Marathon, Half Marathon and 10K race will take place on December 1st in Negril. Runners from nearly 30 countries will participate this year. Registration begins on November 29th at Couples Swept Away in Negril. Other events scheduled for the weekend include the Jamaica Hotel and Tourist Association’s (JHTA) ‘World’s Best’ Pasta Party, Village Bash in Negril town square on Friday November 30th. The awards ceremony and victory beach party will be held after the race at Long Bay Beach Park also in Negril. Wheel of Fortune co-hosts, Pat Sajak and Vanna White led a team which visited Sandals Grand Riveira to shoot vignettes and B-roll footage for the popular game show. They will be featured on the show in 2013. The partnership between Wheel of Fortune and Sandals date back to 2009 but this is the first time the team has visited Jamaica. 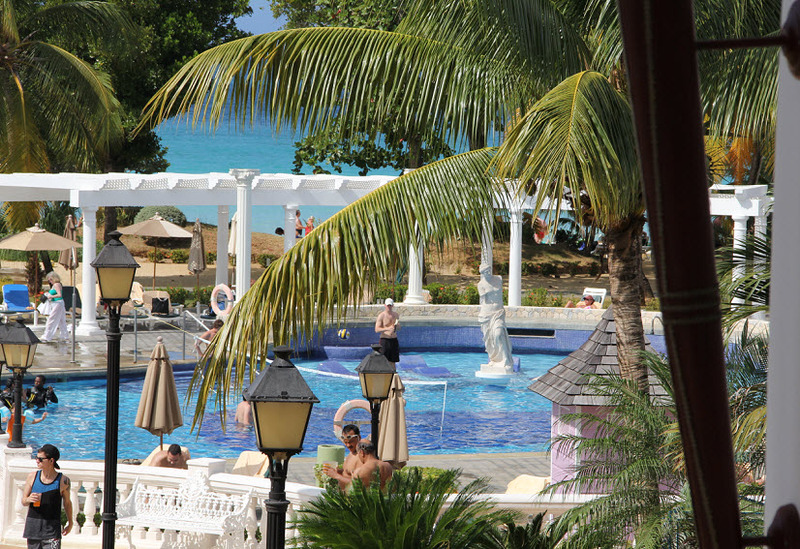 Jamaica is one of the best place to relax and unwind. Having direct flights from Europe to Jamaica will surely boost the tourism industry. Thanks, Sarah. I do agree and I also agree that direct flights will be a definite boost to the industry.